In the light of the major developments of the last nine months - from the presidential election of Donald Trump to the Italian G7 Presidency, from the official launch of the Brexit negotiations to the French elections and the triumph of Macron - the IAI Global Outlook Final Report aims to provide an updated picture of the dynamics on the three economic scenarios - global, European and Italian. This is accompanied by a specific analysis of geographical scenarios considered to be of particular relevance to the Italian enterprisers and their activities abroad: China, Egypt and Turkey. 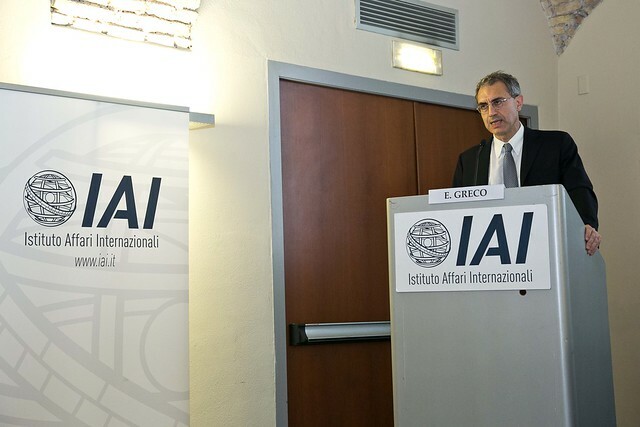 The Report is the result of the twentieth edition of the IAI Global Outlook IAI, an initiative in cooperation with several international experts from academic institutions, international institutions or research centers.